For the first time Vijay Sethupathi danced in the film Idharkuthane Aasaipattai Balakumara. After this he danced for a Kuthu song in the film Thirudan Police which had Attakathi Dinesh in the lead role. In Vanmam he danced with Krishna. Initially Vijay Sethupathi was not well versed in dancing. Slowly he improved his dancing. Now he has danced with Arya in the film Purambokku. Vijay Sethupathi had so far not acted intimately with the heroines. Now he had danced with Nayanthara in the film Naanum Rowdythaan. It is understood that Vijay Sethupathi danced the toughest movements with ease for the film directed by Vignesh Shivan featuring Nayantara in female lead. For the first time, Vijay Sethupathi has reportedly shaken legs for some complicated choreography. There are some moments, where even Nayanthara was stunned with his dancing. She has applauded him in many movements. 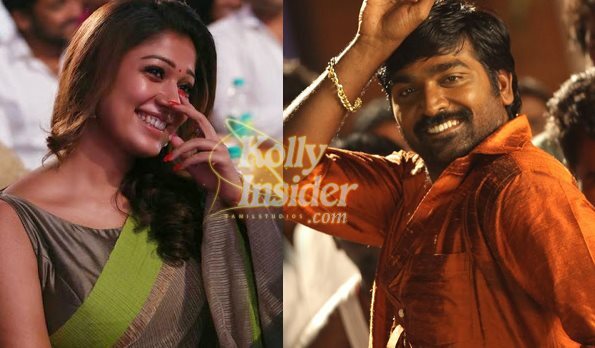 Vijay Sethupathi is now in cloud nine because of Nayanthara’s appreciation. Naanum Rowdythaan is produced by Dhanush under the banner of Wunderbar Films and has musical score by Anirudh.